Sleep is the foundation for your well-being. That is why you deserve the best night’s sleep possible. 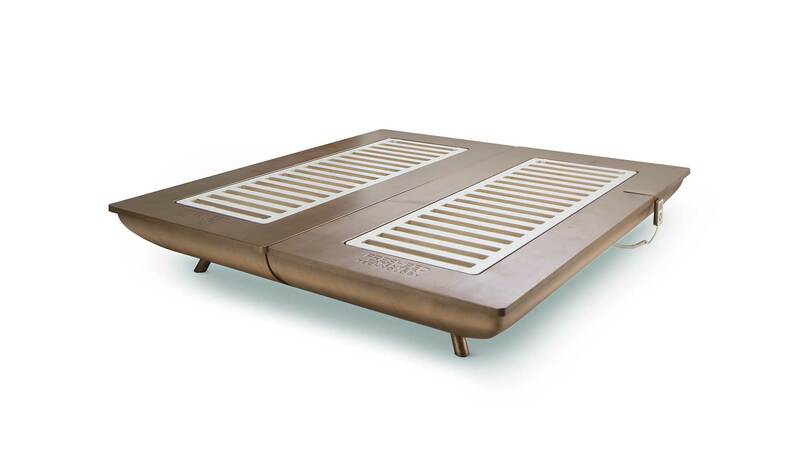 FreshBed enhances the quality of your sleep through delicious climate control. Fall asleep faster, experience longer, deeper sleep, and wake up more refreshed. Every day. Indulge yourself. FreshBed delivers a delightful microclimate bursting with freshness and unparalleled hygiene. Purified air is delivered quietly to you all night long, giving you the luxury of crisp, dry bed linens the whole night through. 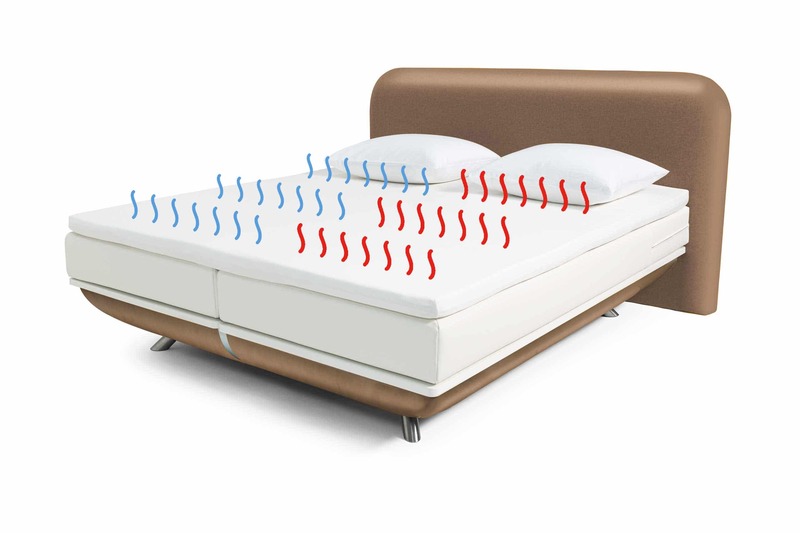 By setting the ideal bed temperature which works best for your body, you are able to create a bespoke sleep experience like never before. Whether at home or in a hotel, a FreshBed will help you wake up feeling refreshed and more fit, improve your mental agility, and help you perform at your very best, day in and day out.
" I liked Barry van Doornewaard’s passion and story the very first time we met, and I immediately believed what he had to say about FreshBed. In addition to that, a good friend had already recommended FreshBed to us, so we were already excited. But as they say, you have to experience it yourself. With the recent heatwave in the Netherlands it is a real treat to be able to sleep in a cool, dry bed. No more back pain, no sweating at night. We wake up fresh and rested in the morning. I have not had that for a long time. I also give this gift of sleep to my guests in our boutique hotel in Gambia. They sleep cool at night in a FreshBed without the air conditioning on. To be continued… "
" Now that the temperatures are tropical and the humidity is high during this heatwave, I wanted to write and tell you that we still sleep under a duvet (made of goose down!) with a 100% linen duvet cover. 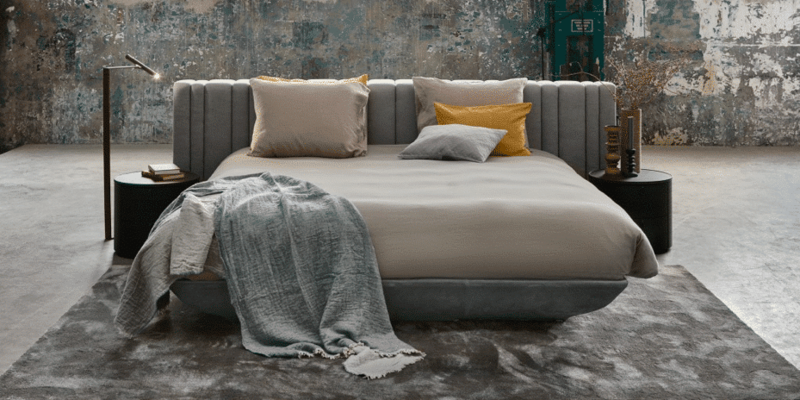 Despite the heat and the duvet, we sleep cool in the FreshBed (with the ventilation high and the temperature at the lowest setting) and wake up fresh and well-rested in the morning. An absolute miracle! " " Several times I bought a mattress that proved to be not the right one for me. Wasted money. Fortunately, I ended up on a recommendation at Bröring in Amsterdam. After making a careful analysis, I was advised FreshBed, a bed where, now that I have slept on it, I can’t stop talking about it. It had to be very comfortable for me, I was so handy to break my back 3 times in 3 consecutive years. That resulted in the fact that I always have to be stable in bed, otherwise there are pains that wake me up. In my sleep, I suffered so much from perspiration that I woke up and I also woke up regularly because I pulled tight. The latter has to do with the location of one of my fractures, which is caused by unstable lying. Now I understand a good ventilation in combination with the right temperature performs miracles. I sleep peacefully, lie stable and dry. Delicious. Getting up was not always easy, I preferred to stay in bed with my quilt over my head. Now I can immediately get up, well rested and looking forward to start the day. Also delicious. If you want to feel what it really is like when you sleep then you can experience it at Hotel Merlet in Schoorl. I have chosen two nights myself because of the sleep problems I have. Actually, I think two nights are recommendable. It’s not only sleep well in Hotel Merlet, you can also dine fine in the restaurant that has a Michelin star. I‘m familiar with many star restaurants but I think Merlet is exceptionally good. If you think that is a bit too much you can go to the Grand Café Bourgogne, the second restaurant in Hotel Merlet. " " I discovered FreshBed at Hotel Merlet. I was curious and lowered the temperature. I slept well and liked it that the bed remained cool, the temperature in bed was very good. I commend it because have experienced the ventilation and temperature control as pleasant. " " Good sleep - Comfortable with deep sleep - It's really comfy as I almost overslept for the meeting! - Most comfortable - Slept like a baby "
FreshBed offers the ultimate in luxury sleep, featuring climate technology that is scientifically proven to deliver up to 50% improvement in sleep quality. Personalised temperature controls allow you to maintain a constant body temperature while a noiseless ventilation system and built-in HEPA filter keeps the air around you incomparably clean and pure, and the sheets fresh and crisp. By controlling the temperature yourself, you will never again be too hot or too cold while sleeping. By eliminating the tossing and turning which arises when your body struggles to regulate nighttime temperatures, it can instead focus on the business at hand: a deep, comfortable sleep all night long. At Lanserhof Tegernsee, the World’s Best Medical Spa, they understand that the quality of life depends on the quality of sleep, that’s why you can find FreshBed there now. Guests can upgrade to a room with a FreshBed, and book the resort’s holistic Sleep Therapy program. A good night’s sleep starts with a quality bed. But there are also external factors which influence the quality of your night’s rest. Stress, for example, is the biggest barrier to a good night’s sleep. For this reason FreshBed now introduces a spectacular device which helps you to fall asleep, stay asleep, and wake up full of energy. The Zeez Sleep Pebble is a flat, inconspicuous sleep device which slides under your pillow. Throughout the night, it prompts your brain to slow down, switch off thinking, relax, fall asleep, and experience cycles of wonderful deep sleep all night long. Just switch it on, put it under your pillow, and sleep your deepest, most relaxing sleep ever. Enjoy more Zeez with the Zeez Sleep Pebble. Robert Kolenik demonstrates how your home can strengthen both your body and your mind. Through combining design with technology. The ongoing collaboration between Kolenik and FreshBed has led to a new design; Edition Two by Robert Kolenik.